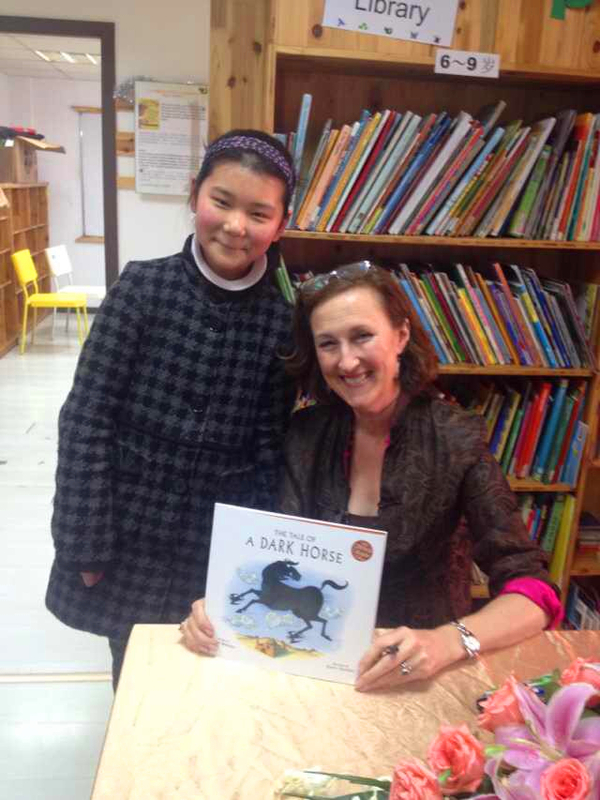 Well I’m back home in Hong Kong again – and what a fabulous fortnight I had in Shanghai! 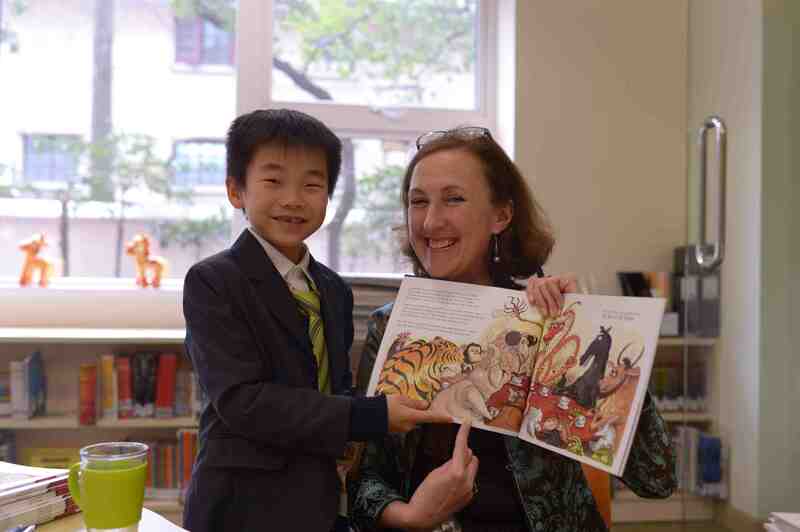 I visited 8 fantastic schools, as well as my morning session at the Shanghai International Literary Festival – and it was all just wonderful! 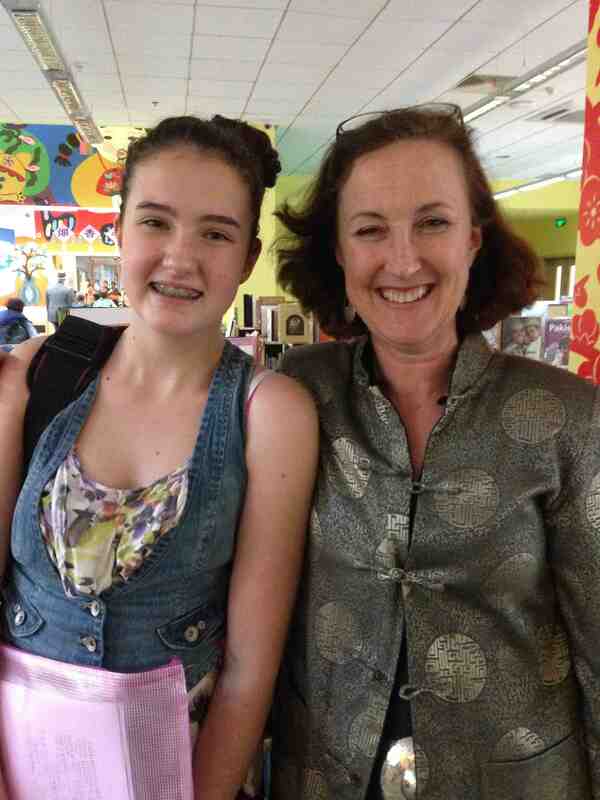 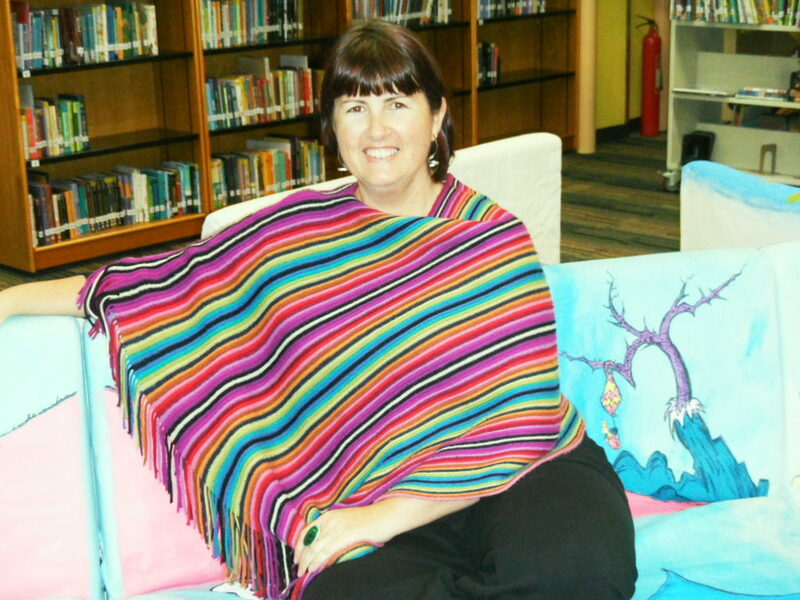 Thanks to all the kids, teachers, mums, dads and writers I met – it was magic! 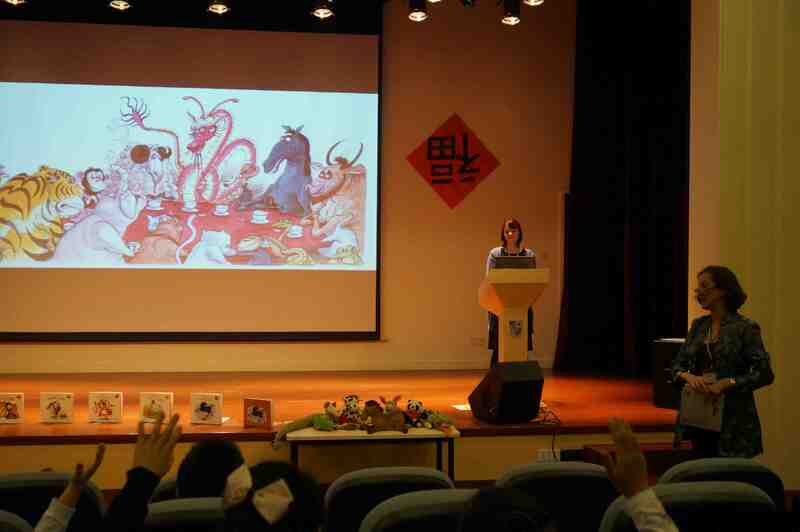 Here are some photos of my session on Saturday 15th March at the Shanghai International Literary Festival – it was fantastic fun! 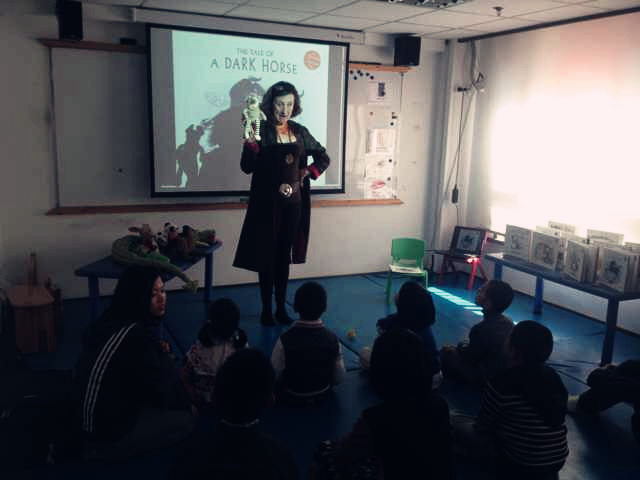 Then on Sunday afternoon I spent a wonderful hour with the kids, mums and dads at Starbugs Academy, a fantastic after-school club for local Shanghai children who are learning English by – you guessed it – reading lots and lots and lots of English language children’s books! 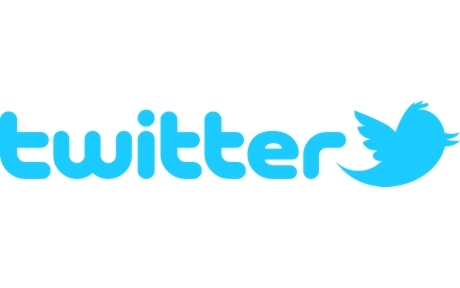 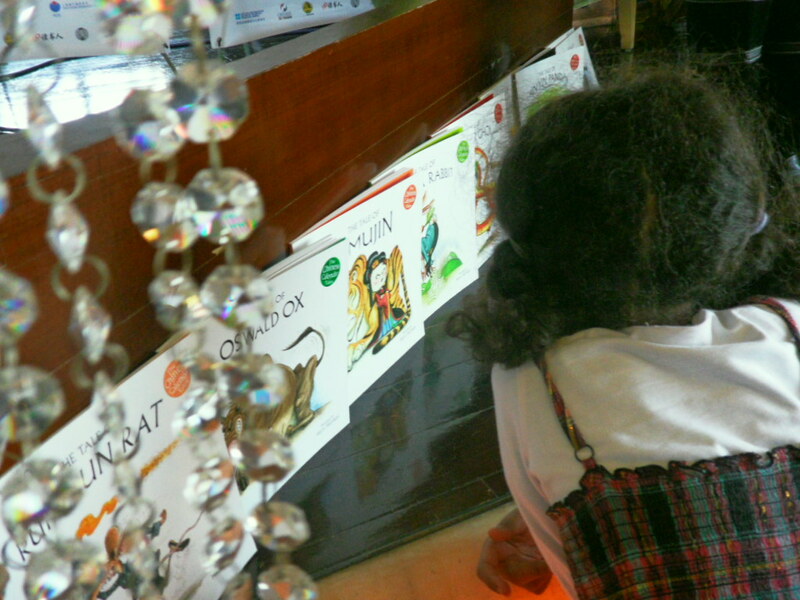 It’s such a great idea, and the kids speak fabulous English! 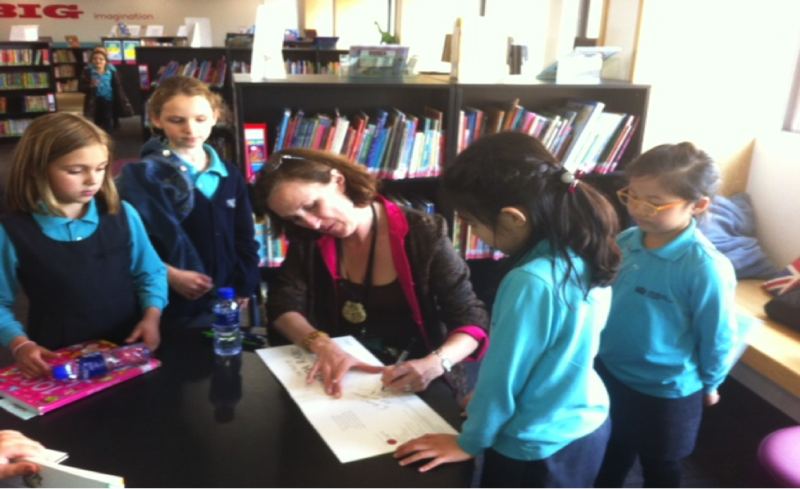 Here I am with my friend Qing Yang, founder of the Academy, during a session and with one of my fans afterwards! 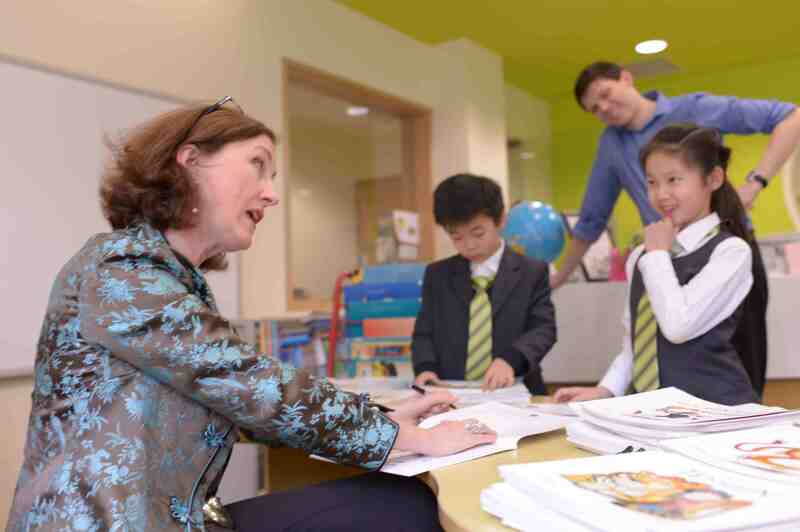 Here is the lovely Sally Scrymgeour, Head of Literacy Year 3 teacher at British International School Shanghai, Pudong campus, who was my host when I visited on Monday 17th March! 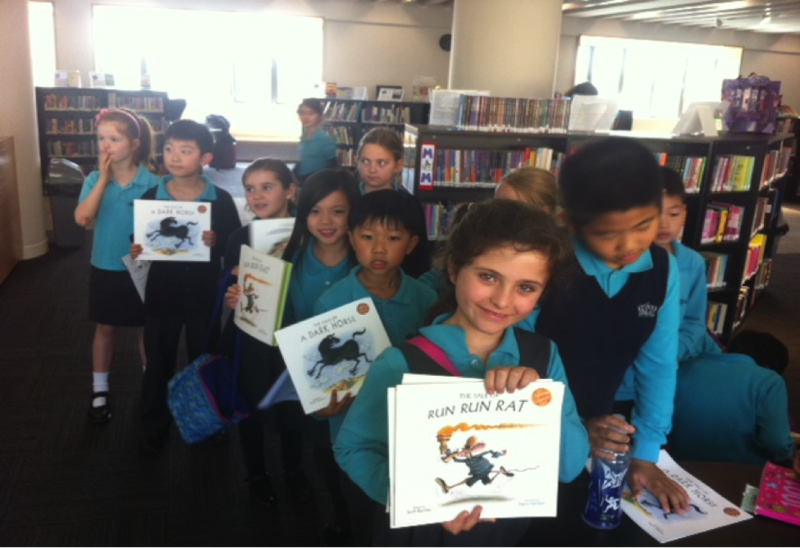 And also pictured, some gorgeous BISS kids, as well as one of our reading sessions. 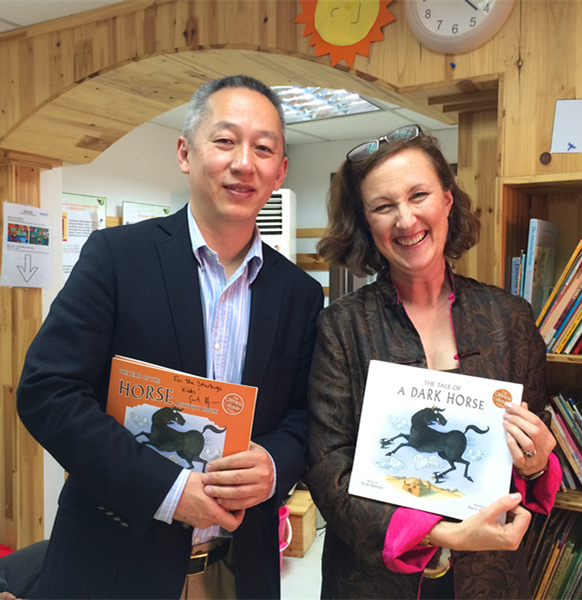 On Tuesday I visited the beautiful new, ultra-modern Britannica International School, where KS3 English teacher Helen Mun, hosted me to a lovely morning of story readings with the kids. 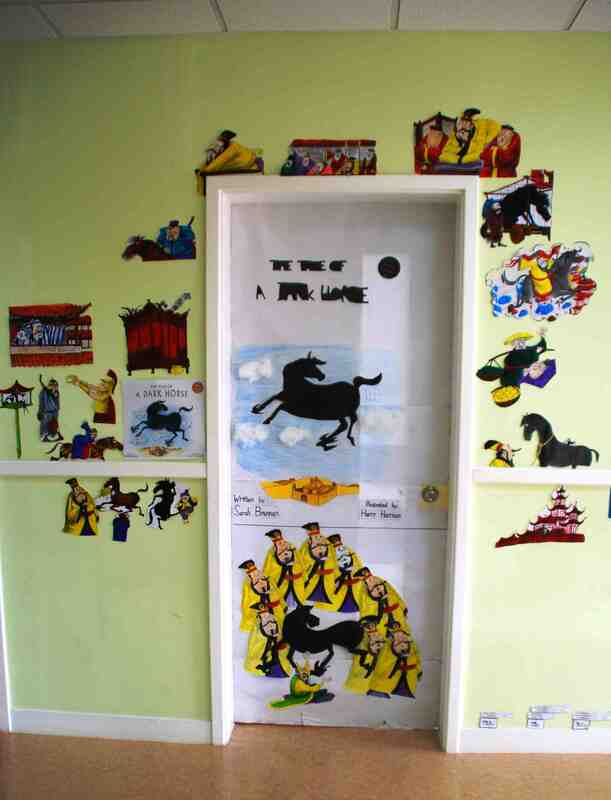 Here is a wonderfully Horsey Door to a classroom; then introducing the little kids to Pin Yin Panda and a Chinese New Year’s Feast; and some of my lovely fans! 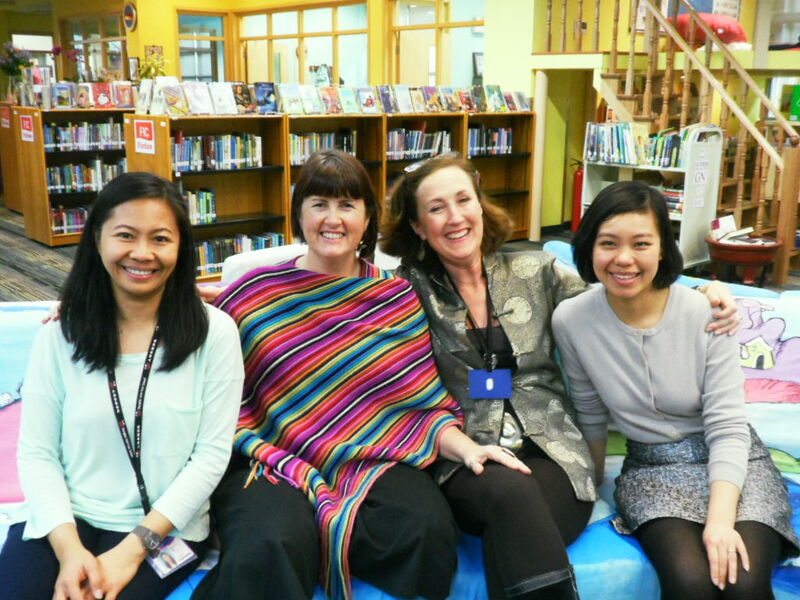 And here I am with the fabulous Kimbra Power, a fellow Tasmanian, and primary librarian at Shanghai American School Pudong which I visited on Wednesday 19th March, and her team, Joji and Stella! 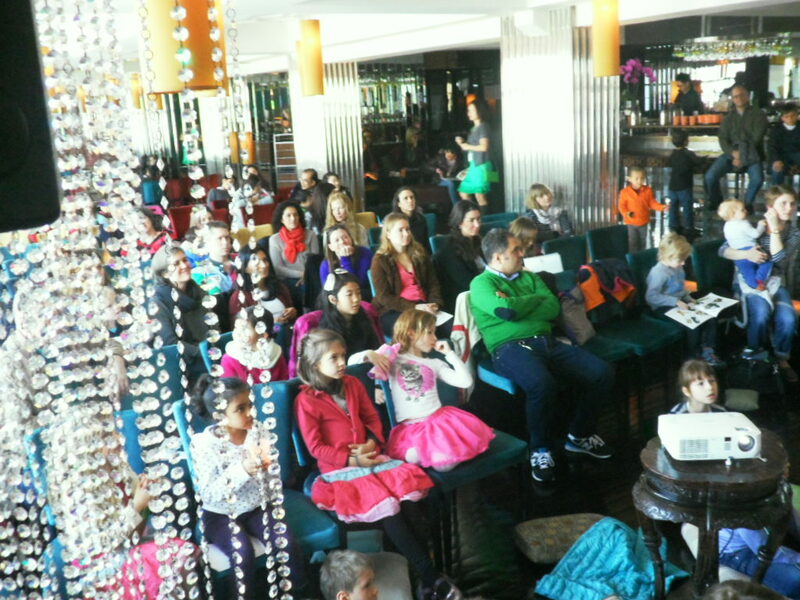 Take a look at the wild and wacky Dr Seuss paintings on the sofa, drawn by the upper school artists! 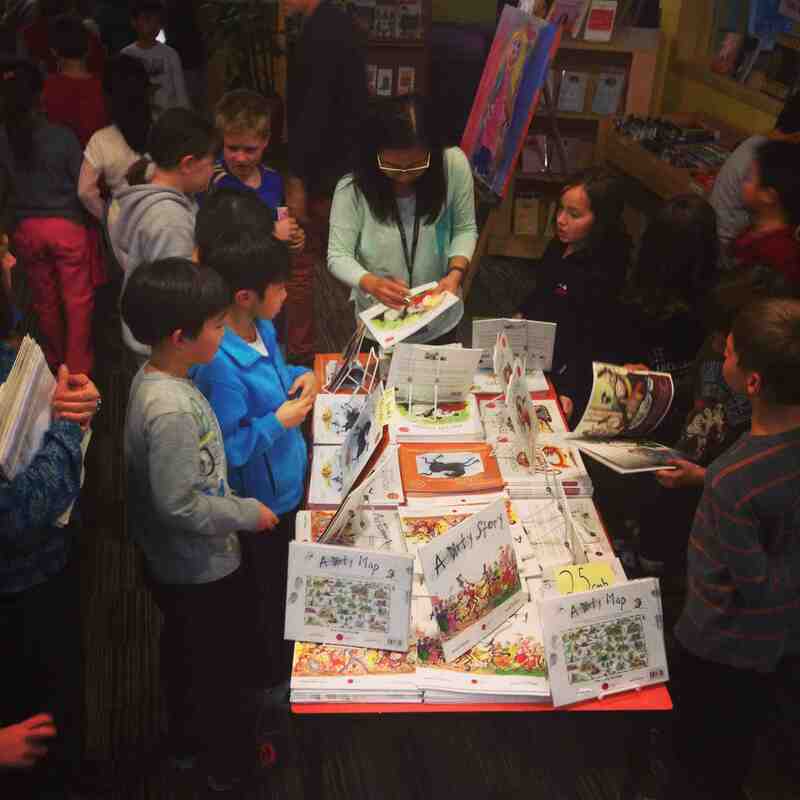 Below is Kimbra’s lovely daughter Hannah, and the book display table! 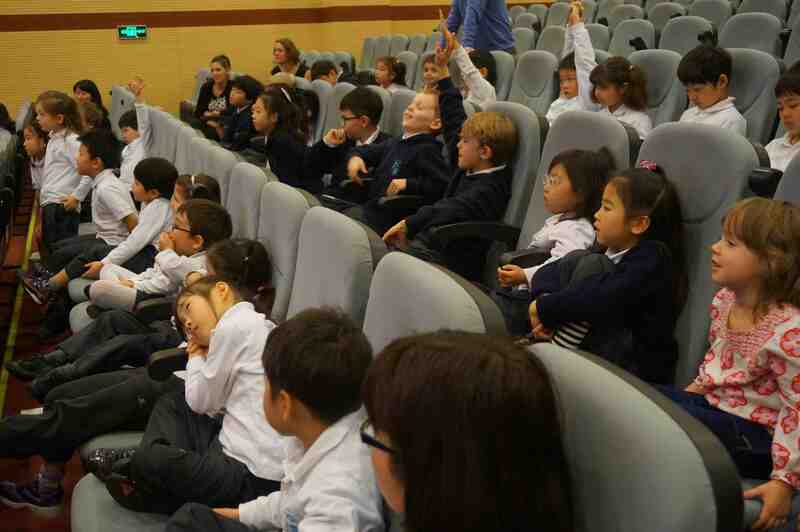 And last but not least, I spent a fabulous final two days with the inspiring teachers and kids of YK Pao School in Shanghai! 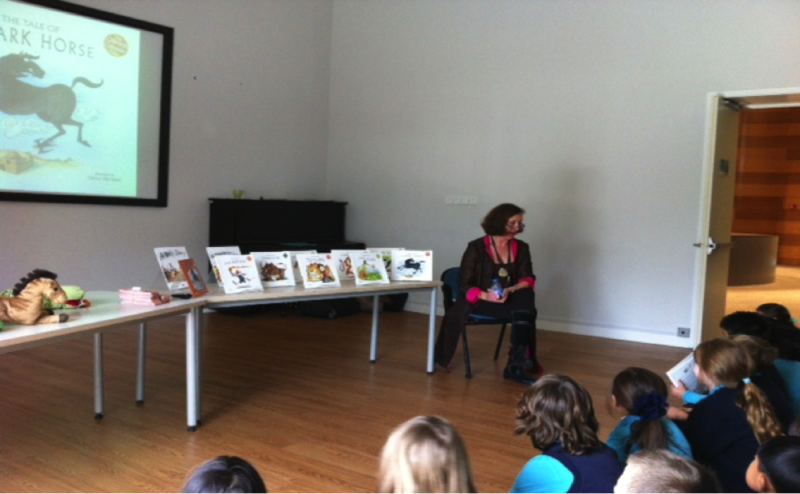 On our first day together, we had a lot of fun with story readings. 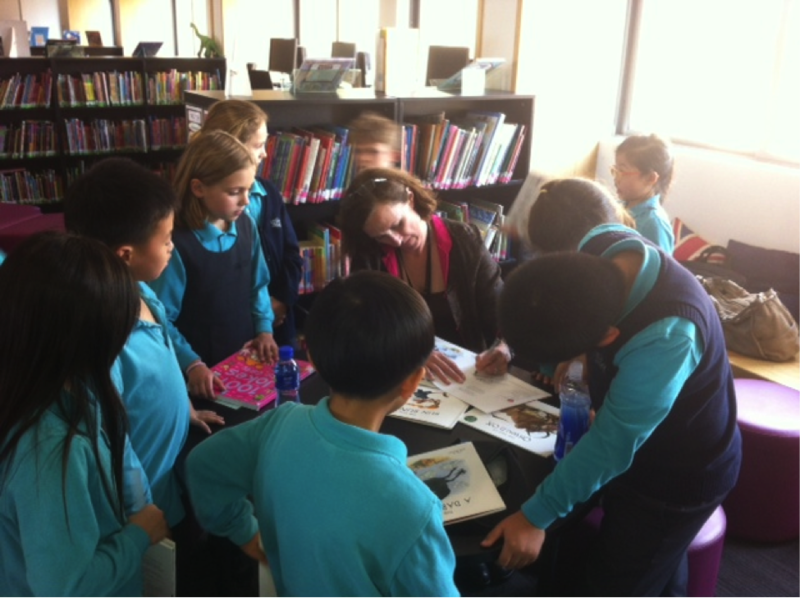 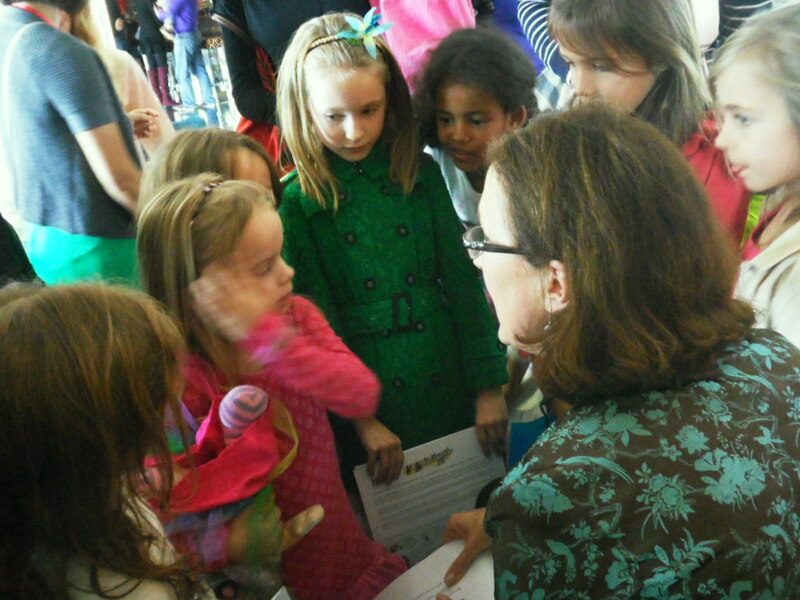 And on our second day, I met the kids personally with a fabulous, huge book signing! 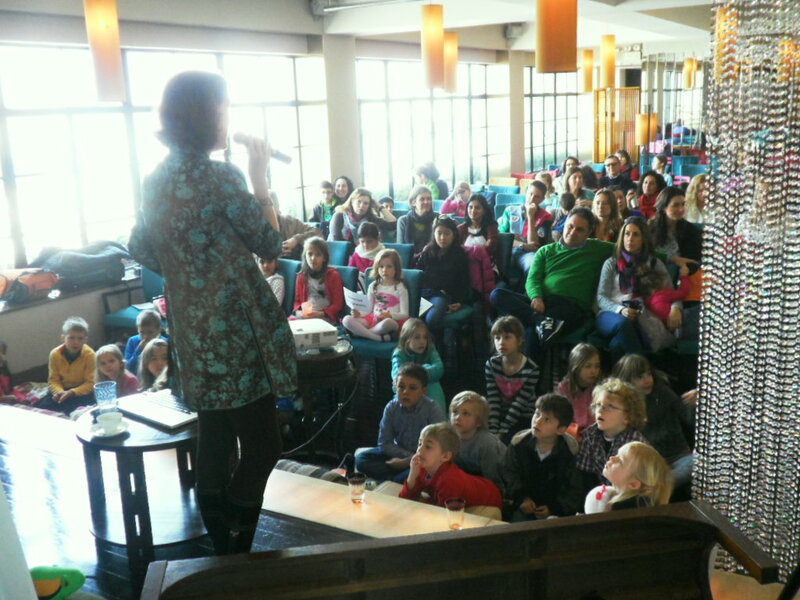 Here I am with some lovely fans, and Jon Banks, my charming host, standing behind!